In part because of a 17% Ford Expedition sales decline in the lead-up to the Expeditions replacement for the 2015 model year, GMs four full-size SUVs were the full-size SUV segments four top sellers in August 2014. 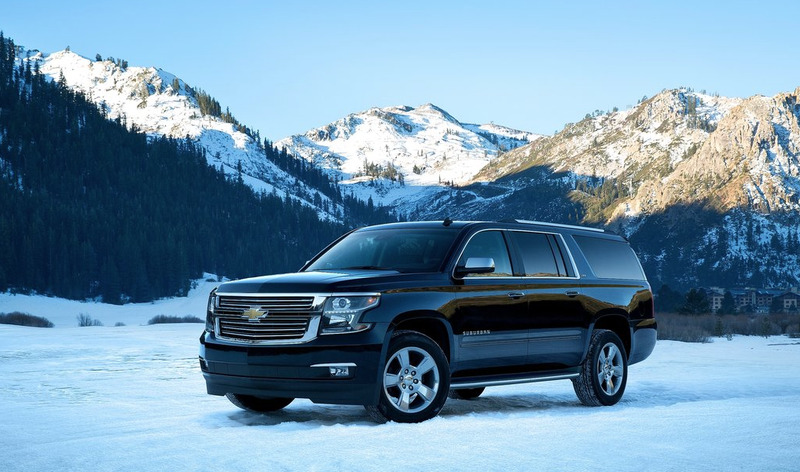 The Chevrolet Tahoe and Suburban led the way; the GMC Yukon and Yukon XL were not far behind. Together, the four GM brutes owned 82.9% of the category, up from 74.1% a year ago. All three of their direct rivals from Ford, Nissan, and Toyota posted year-over-year declines. (Yukon XL volume is down 4% year-to-date.) Of course, these vehicles have rivals which wear premium badges, as well, particularly the Denali versions of GMCs Yukon. One such rival is the Cadillac Escalade. From the regular-wheelbase and Escalade ESV trim, Cadillac generated 21% of the brands volume last month. 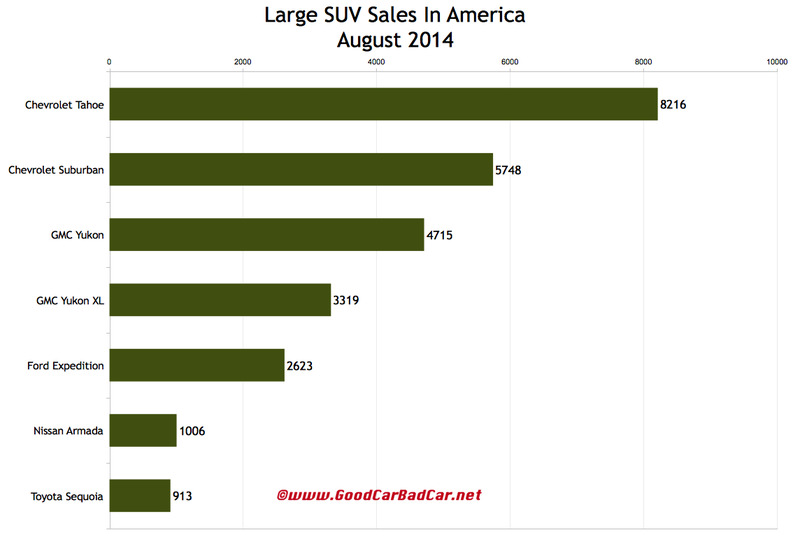 Combined, the six GM full-size SUVs were responsible for 9.4% of GMs U.S. sales volume in August. You can click any model name in the tables below to find historical monthly and yearly U.S. auto sales data. You can also select a make and model at GCBCs Sales Stats page. This table is now sortable, so you can rank large sport-utility vehicles any which way you like. Suggestions on how GCBC should break down segments can be passed on through the Contact page.